There are trolls, goblins, and witches. Which kind of monster is Sophie? 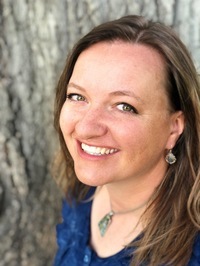 Wendy S Swore farms on the Sho-Ban reservation where her corn maze and pumpkin patch is home to her five kids, two dogs, two geese, seven peacocks, eleven ducks, nineteen cats, and two hundred thirty seven chickens. She farms in the summers, writes in the winters, and would rather chew her leg off than eat something spicy. 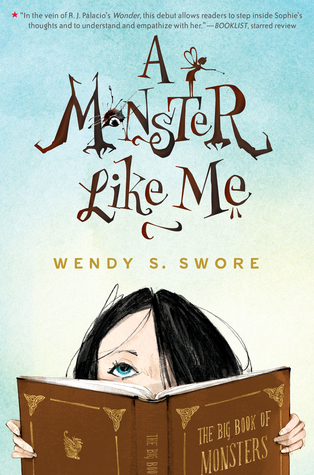 Rep’d by Stacey Glick, Member SCBWI, Her debut novel, A Monster Like Me, comes out in March 2019. When Sophie was a couple months old she got a blood tumor on her face. This makes her stand out and makes her feel awkward around people so she uses her encyclopedia of monsters as a shield. She recognizes different monsters from myths all around her from the bullies at school to her neighbor. She is very lucky to find a new friend at her new school but Sophie is filled with doubt and thinks that she is a monster herself. She blames herself for her father leaving and is afraid that he mother will realize that she is a monster and abandon her too. It’s tough enough to be in a new school. But to have the blood tumor just makes life worse. People that are polite don’t always know how to act around her and kids are just horrible. I completely understand why use hides behind her encyclopedia. But to think that she is a monster just broke my heart. But she navigates her world well and learns a lot about herself. I loved this story. It is so touching and a great read for any age. It has a great message for those that feel like they don’t fit in. I recommend checking this book out. I would like to thank Shadow Mountain Publishing for the opportunity to read and share this book.